National Handbag Day came and went in what felt like a blink of an eye. With thousands of handbag tweets and close to 6,000 Instagrams showing off your bags, it's clear all of you were just as excited about the holiday as we were. We spent some time over the weekend to pick out some of our favorite pictures from celebrities, brands, designers, retailers and bloggers. We'll also be doing a Part 2 to highlight some of our favorites from all of you, so be sure to stay tuned! In the meantime, take a look below and get ready for some serious bag beauties. Set in stone. Celebrate @PurseBlog's #NationalHandbagDay with #theFIAMMA. Hello, Hollywood! Celebrating #NationalHandbagDay with @PurseBlog and our #JetSetSelma. Thanks @purseblog for the reminder that today is National Handbag Day! #Spring2015 vacation planning with @jonathanadler. Happy #nationalhandbagday! We're celebrating #NationalHandbagDay the only way we know how...with bubbly and blooms. Cheers @purseblog! Happy National Handbag Day!!! I'm going w my classic jumbo @classicchanel !!! We’re celebrating #NationalHandbagDay with @purseblog, @bloomingdales and our Sutra Ready to Go Fringe Tote! Celebrate #NationalHandbagDay with Sweety Charity - perfect for all of your evening essentials. Day 10: #BagSnobPinkChallenge Do you love our @snobessentials Spring 2015 bag: the "Amelia"? 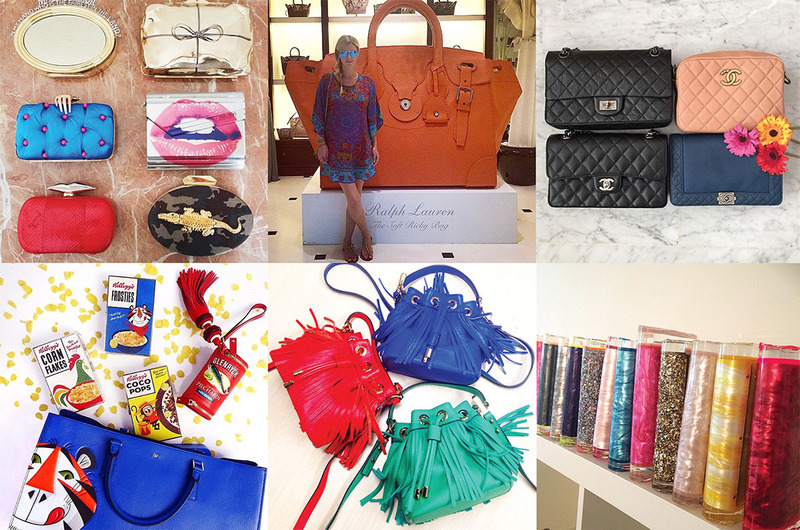 And celebrating #NationalHandbagDay w/@purseblog who also accepted the pink challenge!